Preschoolers love to do crafts -- especially ones with a <a href="http://www.inhabitots.com/how-to-make-natural-candy-cane-play-dough/">holiday theme</a>. But oftentimes craft endeavors are too complicated or frustrating, and mom or dad are left to complete the undertaking while kiddos meander off to other activities. That's why making these miniature holiday trees with your little ones is a great, green craft, because they are super simple to create in a matter of minutes. You'll have a tiny forest to put on the table in no time, and you'll teach your children the art of recycling by making these trees entirely out of recycled paper and holiday store catalogs you've probably been receiving in the mail over the past month. <br><br> Besides being a craft that children can do almost entirely on their own, this craft is fun because you can make it as elaborate or as simple as you choose. You can add a little glitter or some small bead ornaments to make the trees really magical. 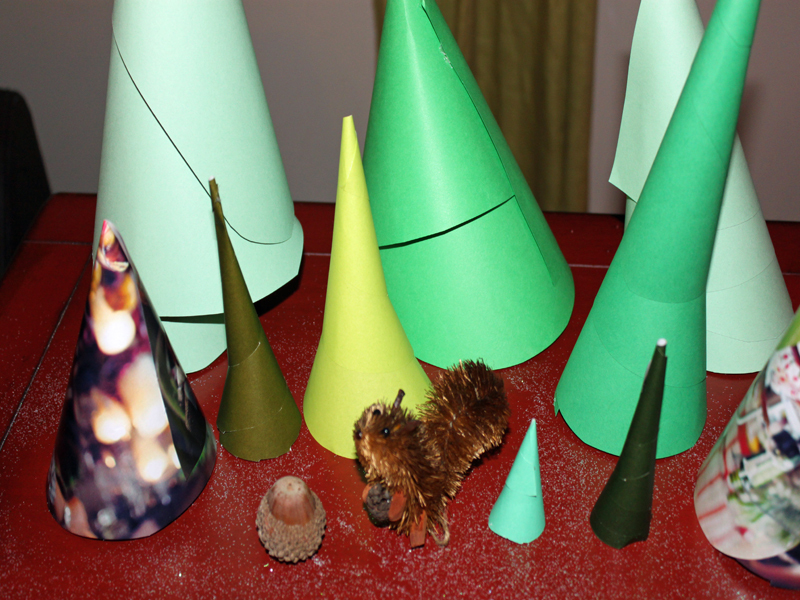 Read on to learn how you and your little one can construct a simple recycled tabletop holiday forest in a few minutes. 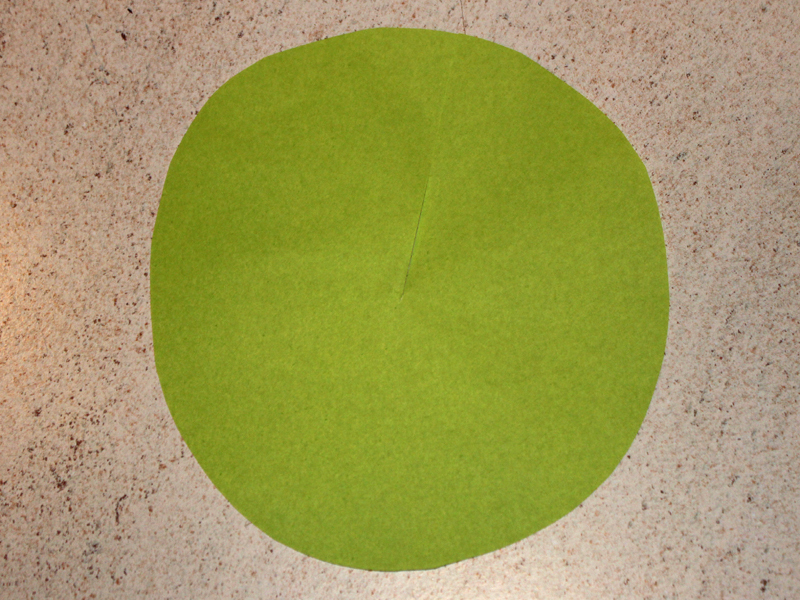 <h2>Step 2: Get Circular!</h2> Spend a couple of minutes transforming all of your recycled paper into different sized circles. 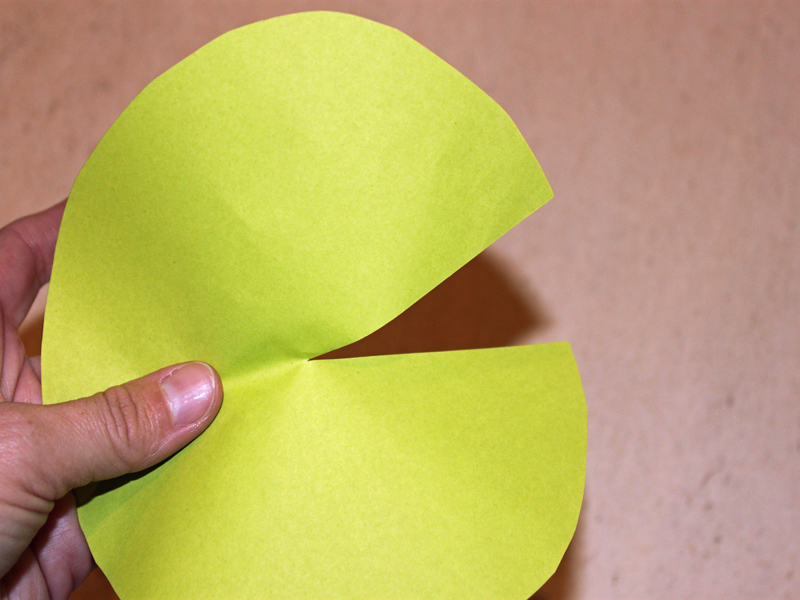 <h2>Step 3: Just Add Scissors!</h2> Using your scissors cut a slit halfway through each of the circles. 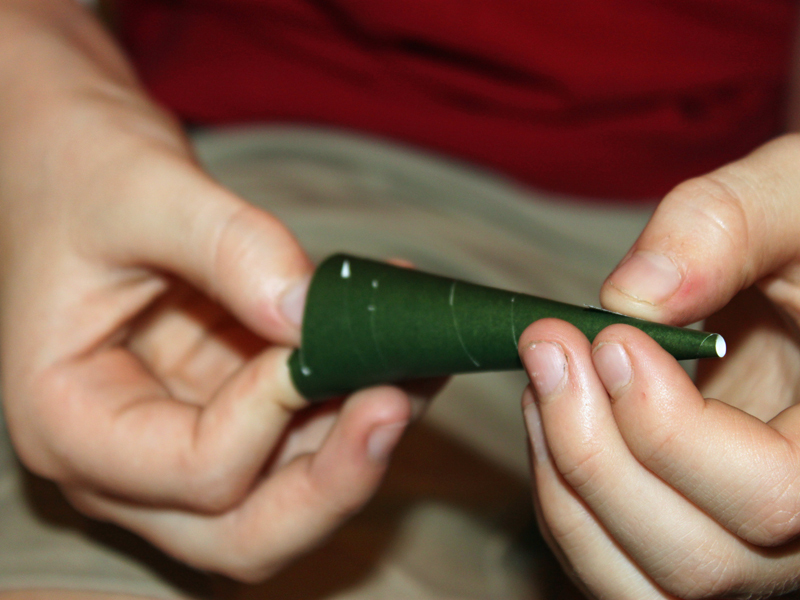 <h2>Step 4: Twist It!</h2> Twist the paper around and around until a long tree shape appears. 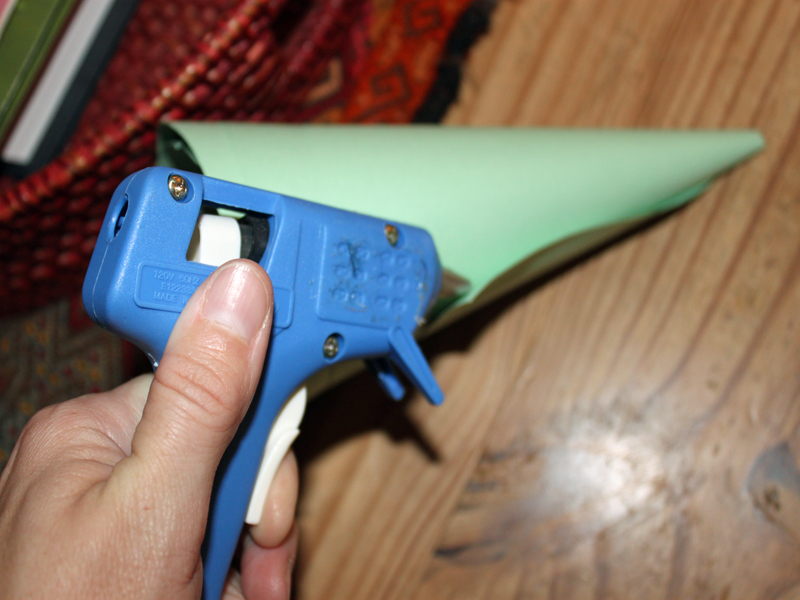 <h2>Step 5: Glue It!</h2> Using a little dollop of glue, secure the end of each tree! <h2>Step 6: Set it Up!</h2> Add your miniature forest to any tabletop in your home. 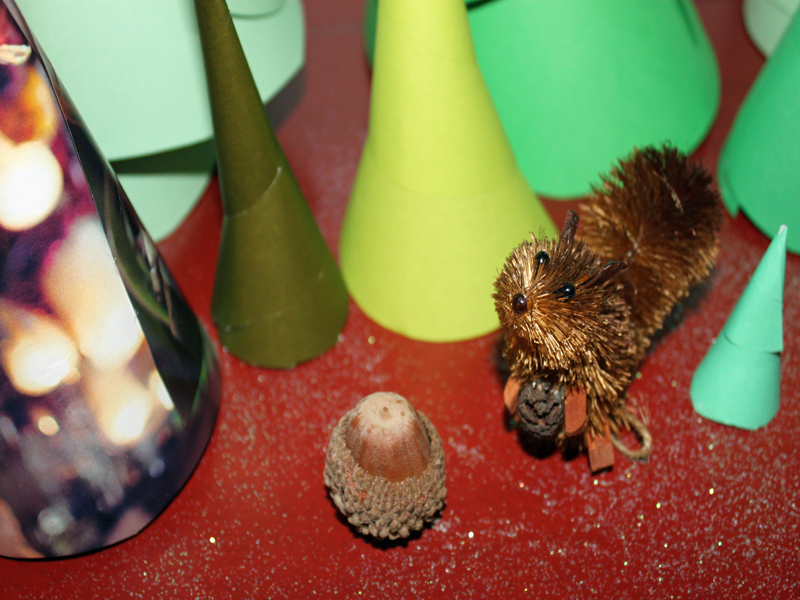 <h2>Step 7: Decorate and Enjoy!</h2> We added a little sprinkle of glitter and then added a woodland creature from our holiday tree - complete with a large acorn from our collection. My son couldn't stop giggling that our scene looks like the one from Ice Age! Preschoolers love to do crafts -- especially ones with a holiday theme. But oftentimes craft endeavors are too complicated or frustrating, and mom or dad are left to complete the undertaking while kiddos meander off to other activities. That's why making these miniature holiday trees with your little ones is a great, green craft, because they are super simple to create in a matter of minutes. 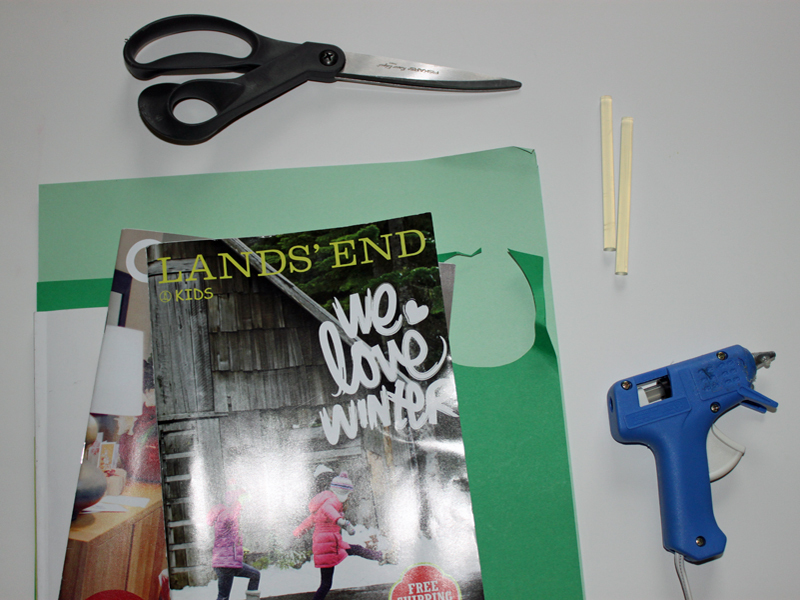 You'll have a tiny forest to put on the table in no time, and you'll teach your children the art of recycling by making these trees entirely out of recycled paper and holiday store catalogs you've probably been receiving in the mail over the past month. Besides being a craft that children can do almost entirely on their own, this craft is fun because you can make it as elaborate or as simple as you choose. You can add a little glitter or some small bead ornaments to make the trees really magical. 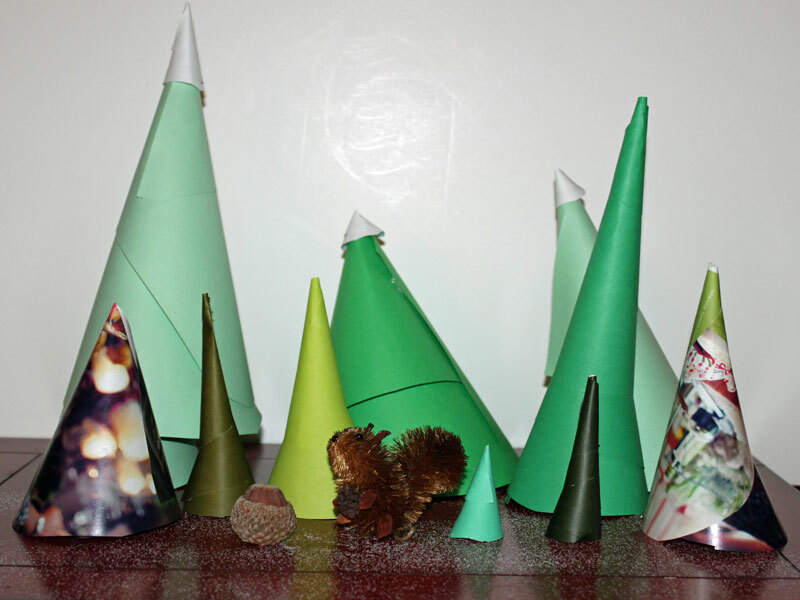 Read on to learn how you and your little one can construct a simple recycled tabletop holiday forest in a few minutes.